Mmmmmm, this was a real good dish, note to self, have to buy the largest scallops from now on, since they shrink at least 50% in size while cooking. I added the Japanese fishcakes (the pink stuff) and fried rice squares underneath to absorb sauce dripping. Real good combination! in a nonstick skillet over medium high heat heat oil in skillet and add scallops. season with salt and pepper cook about 3-5 minutes should be lightly browned then flip and do the same on other side. mean while in sauce pan combine all the ingredients and bring to a boil then remove from heat. 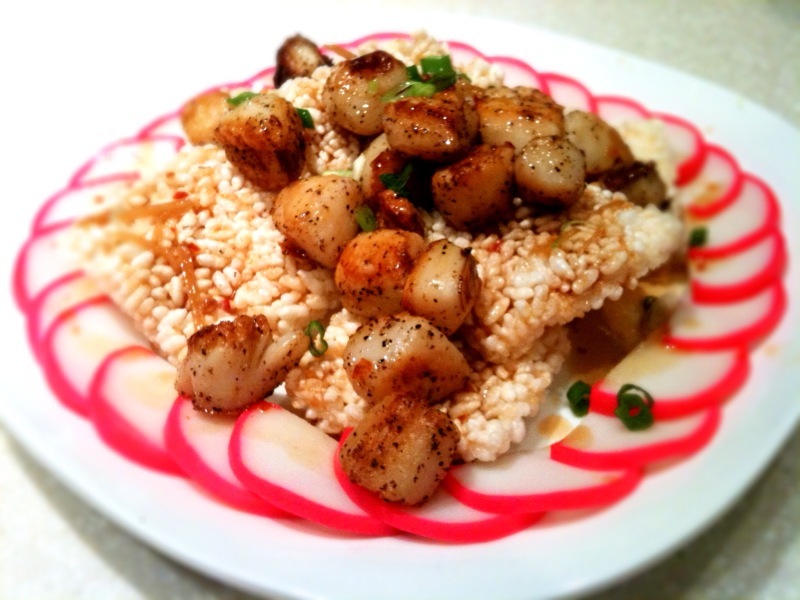 serve scallops and sauce immediately.